One hand after doubling-up Sean Marshall to flip their stacks, @MikeNoori is all in preflop with King_Ten and he's run in to the Pocket_Aces of Marshall. 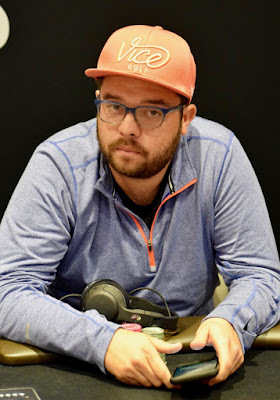 Noori catches a King on the turn, and despite Marshall saying "A King always comes on the river," there is not one and Noori cashes for $42,490 in 4th place. The final three players are looking at ICM numbers now.